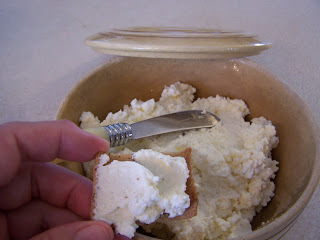 I have been wanting to try my hand at a basic soft cheese for quite a while now and with a little kick in the pants from my friend Wendy, I finally did it! I found the basic recipe HERE, so I won't bore you with the details! 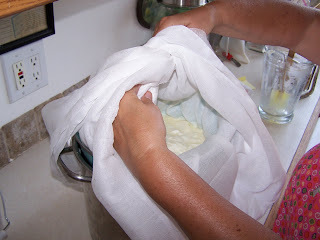 Tying the curds in double cheesecloth..
Use as a spread on crackers, bagels, or thin with a bit of milk and use as salad dressing or sour cream! Or how about little chunks of it over fresh tomatoes and a bit of chopped basil? This fresh cheese will keep in the fridge for up to two weeks, but I don't think it will last 2 days let alone 2 weeks! Next up is some lacto fermented salsa! 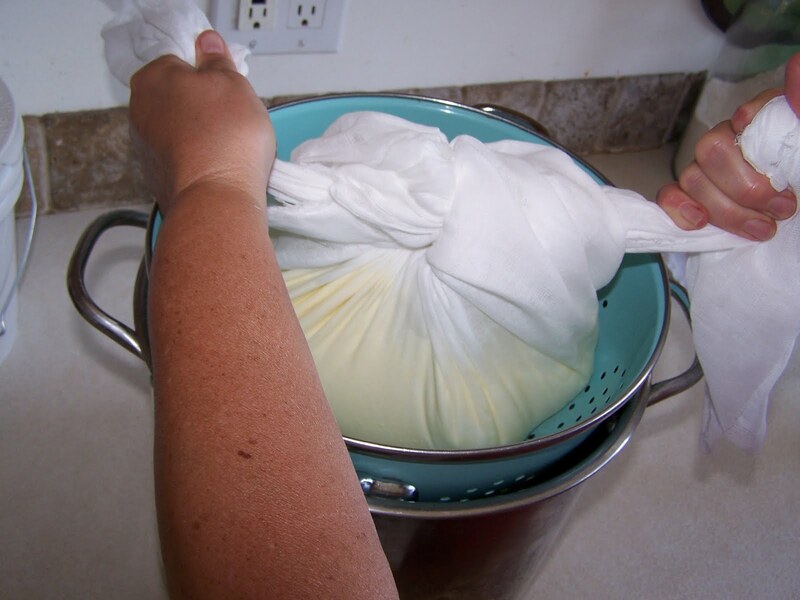 I really miss making cheese. 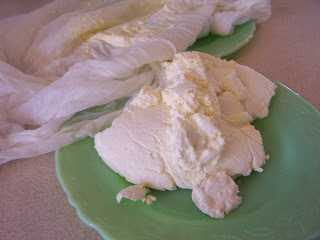 I used to make a soft cheese every day with my goat milk. I just used lemon juice, but every day was different with the herbs. So good! I always wanted to get to practicing hard cheeses, but never got to it. So many cheeses, so many crackers. yum! way to go! Can't wait to see your salsa recipe. This reminds me of our cheese making years ago. 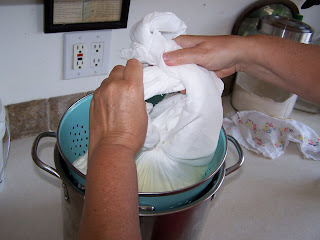 I have been wanting to make cheese for some time now. Yours sounds so good! I agree with Faith...we need smell-o-vision! YUM! Well done for making cheese - it's something I wish to try, but haven't been brave enough yet. 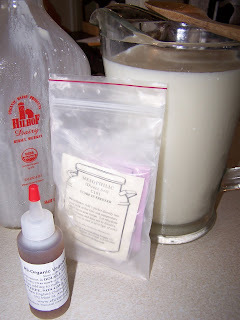 Last night I was watching the homestead blessings DVD "dairy delights" & watched the cheese making closely & it didn't look as hard as I thought it was. That does look delicious! Cheese is one of my (many) weaknesses, LOL! 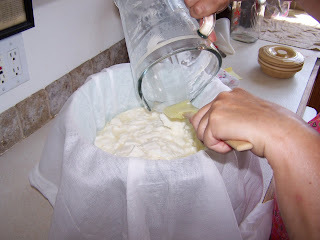 Cheese making is on my list for this fall! Thanks for the info!!!! IT looks so good. You have some very good ideas to share with us. I'm trying to get up the nerve to make cheese. After that I'm thinking of making some cinnamon butter. Way to go!! I can't wait until we are getting enough goat milk to make cheese and butter again. Yum, yum and as you can see the possibilities just brim over in your head. 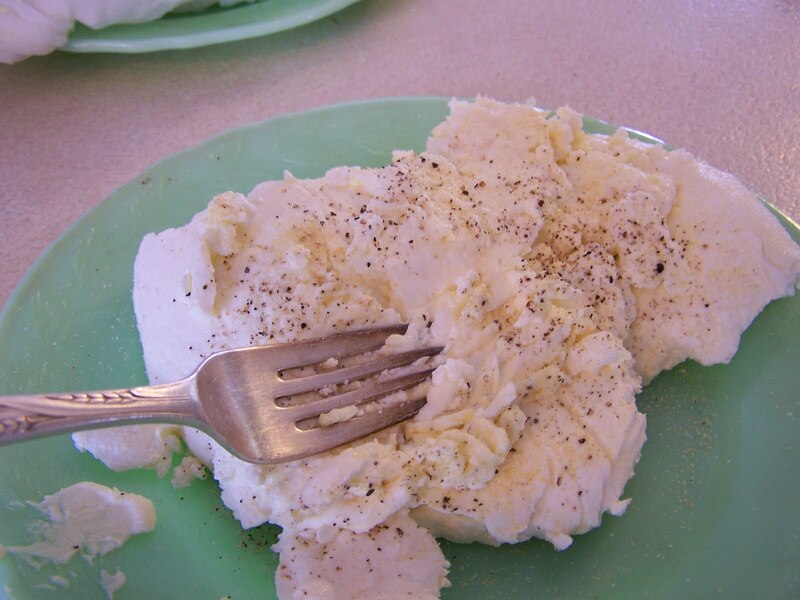 One of our favorite soft cheeses we put in garlic, finely chopped carrots, and bell pepper. Smeared on a bagel it's soooo good. Oh my goodness, Cindy. Does that cheese ever look so yummy! You make everything look so easy peasy...just one of the reasons why I enjoy your blog so much! The cheese looks soooo delicious! Glad I found you! Just added this to my favorites. I am getting fresh milk once a week from a neighbor now and I've been thinking of making cheese. You make it look so easy!